Nutty Professor in this Viking. Good morning, A co-worker's trailer floor gave way in a door, so there is nothing like some manual labor unloading a 53 footer with a pump jack to get the blood flowin' first thing in the am. Smoking Heine's Blend in a Custombilt and drinking a free Dunkin Doughnuts regular coffee that the boss bought for me for taking charge of the situation before he arrived on location. . Lol... Gee thanks! Have a great day! I picked up the Half and Half along with a couple of pouches of SP Mellow and some zippo fluid at Low Bob's today. Sure does appreciate you, doesn't he? 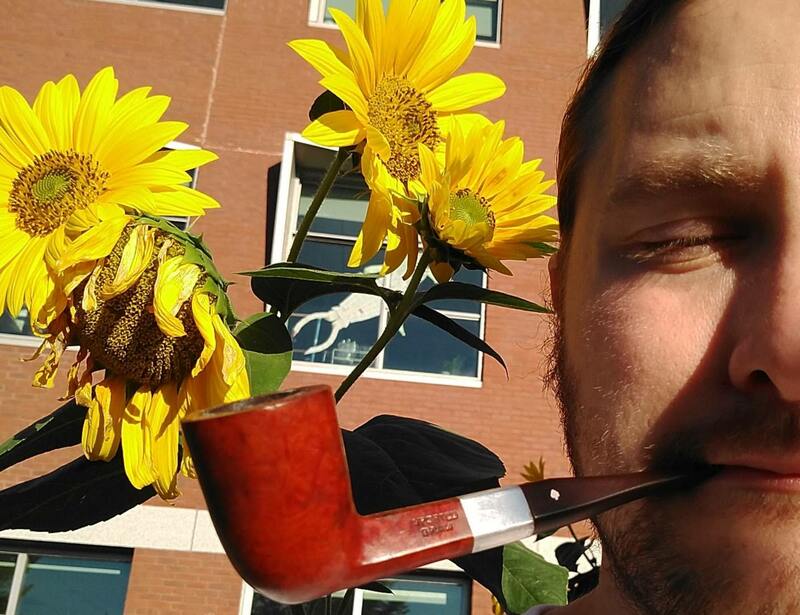 I was early to the commuter lot this AM, so I sat in the Ag Studies' garden watching the bees and college wildlife pass me by, puffing on the 2nd half of yesterday's Big'N'Burley. 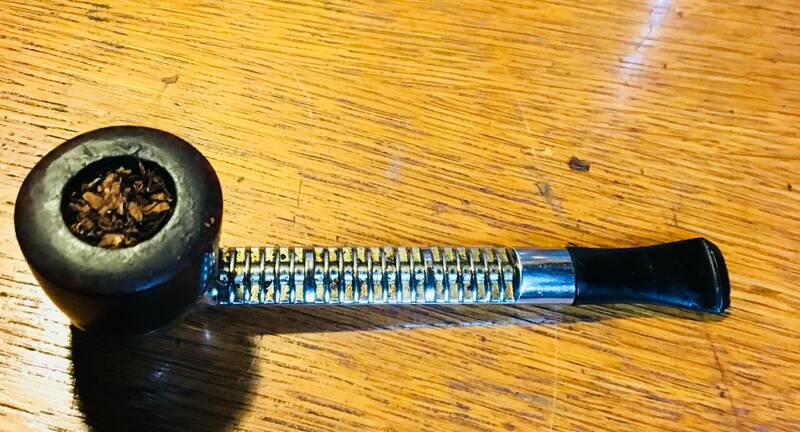 An old lady stopped and complimented me on the pipe, and said that she hadn't seen one being smoked on University campus in 20 years and missed that part of the college experience. Lol... he's the cheapest person I know! ...drinking a free Dunkin Doughnuts regular coffee that the boss bought for me for taking charge of the situation before he arrived on location. . Lol... Gee thanks! Have a great day! I think I'd rather have Dunkin Donuts coffee over the tepid over roasted slag they try to pass off as coffee at 'Bucks. Speaking of coffee, having some really nice Itallian roast coffee with my PS Amsterdam, smoldering in a Ropp Dublin. My wife and I were just noting this morning how many ways we have to make coffee. If I have the time and patience, I like to make it cowboy style in a sauce pan.. but we also have a pour over rig, AeroPress, Moka Pot, cold brew, French Press, and a regular old coffee pot.